Still wearing a giraffe onesie from the previous night's drinking, Sid wakes from a nightmare in which he was pursued by predators. All Sid wants to do is to chill out, sleep off his hangover, and to catch up on David Attenborough’s The Hunt on iPlayer. He certainly doesn’t need a call from his flatmate, Leo, telling him not to touch his laptop. And he really does not need Leo’s girlfriend, Rose, giving him the third degree about where Leo might have gone. All Rose knows is that Leo received a text message reading ‘I’m going to hurt you so bad', just before he disappeared. She also knows that ‘bad’ is not an adverb. Sid may not know all that much about grammar, but he does know the man who sent the text message is a brutal criminal called Craven. He also knows Craven is not the kind of man to worry too much about adjectives and adverbs. 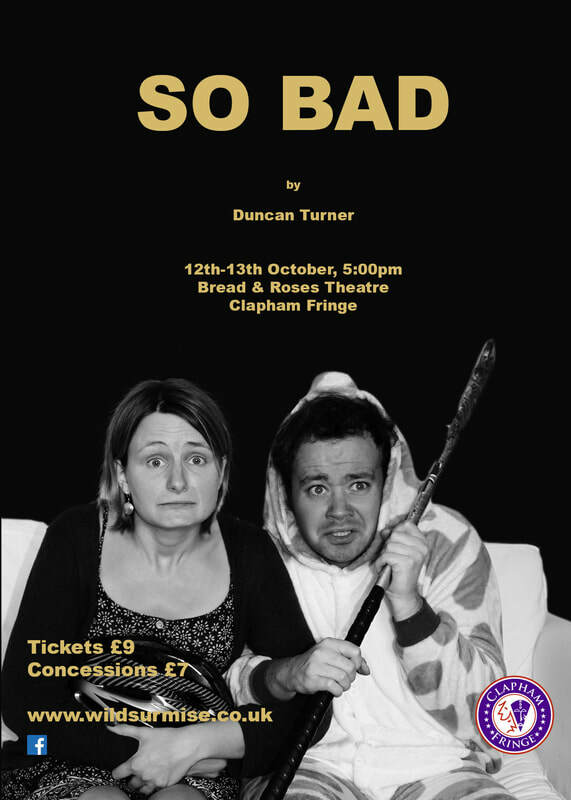 So Bad is a black comedy performed at the breakneck speed of farce. However, there are no quick entrances and exits, and no wardrobes in which to hide. Instead, Sid and Rose are left alone on stage, by turns flirting and fighting, posing and panicking, as they try to decipher Leo’s cryptic text messages and to make sense of the menacing Skype calls made by the gang leader, Craven. The answer to the mystery of Leo’s disappearance lies on his laptop. Fortunately, Rose is as resourceful as she is resilient, and she’s a quick learner—particularly when it comes to blackmail and betrayal. 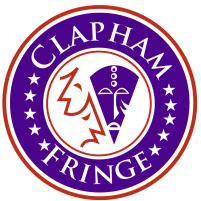 Wild Surmise Theatre was founded in the spring of 2017 to promote new writing and to develop new artistic talent.